If you’ve enjoyed the Persona games – I’ve previously provided reviews of the first, third and fourth – then odds are that sooner or later you’re going to want to explore the wider Shin Megami Tensei series of demon summoning-themed JRPGs. What you discover is a mixed bag; most of the other branches of the series eschew the high school life simulation visual novel and dating sim influences of the Persona games (and only Persona 3 and Persona 4 actually focus on that), and whilst sometimes their surreal takes on fairly standard JRPG plotlines can be quite interesting, other times the games can get bogged down in repetitiveness and tedium. On top of that, there’s a sprawling morass of side-series which, like Persona, take the demon-summoning concept and put their own spin on it. One of these is Digital Devil Saga – not to be confused with Digital Devil Story, the strapline for the original NES-era Megami Tensei games. Digital Devil Saga was a Playstation 2-exclusive duo of games which emerged after Lucifer’s Call – the sole game of the core Shin Megami Tensei series to get a PS2 release – and before Persona 3 came along to both redefine the gameplay of the Persona series and radically expand the bounds of what you could do in a Shin Megami Tensei game. Consequently, what you might to expect to deal with here – both from the title being highly reminiscent of the original series and the fact that it preceded Persona 3 – is a more traditional Shin Megami Tensei game, and for the most part that’s what you get. So any of y’all who were hoping for another life simulation will probably be better off waiting for the recently-announced Persona 5. Shin Megami Tensei: Strange Journey is the sequel to Lucifer’s Call (AKA Nocturne), and is the first of the core Shin Megami Tensei series to be developed exclusively for a handheld platform – specifically, the Nintendo DS. The traditional silent protagonist this time around is a member of an elite United Nations military expedition into the mysterious Schwarzwelt – a rapidly expanding dimensional abnormality centred on the South Pole. Driving into the Schwarzwelt in massive, town-sized, super high-tech trucks (which can fly and have AI control units), the investigation team soon finds itself stuck in the Schwarzwelt. The Red Sprite, the truck that the player character is on, is the only one of the four super-trucks that made it into the Schwarzwelt intact – and soon discovers that the different regions inside the Schwarzwelt seem to be manifestations of the various cultural forces like war, consumerism, and so on that exert a powerful grip on the global consciousness of the near future. To survive out there, the protagonist and his allies have to use their Demonicas – specially designed battlesuits which, amongst other things, enable their users to communicate with and summon demons to aid them in battle. The subsequent plot is much like any of the core-series Shin Megami Tensei games – in other words, much more predictable and conventional than, say, Persona 4 or something like that. The cosmological conflict turns out to be between Law and Chaos, as in the first two games (plus some other sources whose identities I forget but probably aren’t very important), and as in the previous game each alignment (aside from Neutrality) ends up having one of the major supporting characters swearing undying allegiance to it, with the consequence that if you side with the opposing alignment (or go Neutral) you have to smack them down in a boss fight. It turns out that the cosmological events surrounding the game are yet another apocalypse, and if you side with one alignment or the other then when you win the game the Earth is fundamentally transformed whilst if you plump for the Neutral option then your prize when you win is the Earth not changing in any appreciable way. To be honest, it feels like Atlus makes the plot for core Shin Megami Tensei games by taking the same old formula each time and slapping a new aesthetic on it, whilst the Persona games and other Megami Tensei spin-off series tend to be much more original. 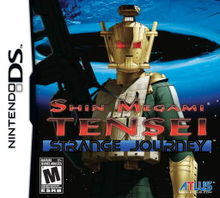 As far as gameplay goes, Strange Journey is consciously a throwback to previous generations of Megami Tensei games; there is an absolute and total focus on exploring dungeons, the exploration is done from a first-person viewpoint, and you go around fighting things and occasionally recruiting demons to your cause (and mashing them together to make funky new demons). Because you’re playing on a DS, you always have the option of closing the console and doing something else when you’re bored of dungeon crawling, which I suspect is the reason that I persisted with the game as long as I did, but it’s notably more user-friendly than the first Persona’s PSP port. The DS touchscreen is used to display an automap during exploration and monster stats during combat, making both processes much more streamlined. The fusion system for the first time includes a neat little password system, where you can generate passwords from your customised and levelled-up demons with other players can input into their copies of the game in order to summon the demons in question. This is actually a much friendlier way of handling demon-trading than using Wi-fi because the password system doesn’t require you to know another DS owner with a copy of the game in real life (which may be a problem if you live in areas where the game wasn’t really sold in shops – I had to get it on import) in order to get access to people’s demons, and it also means that walkthrough creators have been able to provide codes for powerful demons you can get past difficult parts of the game with. Probably the most irritating aspect of the exploration process – outside of the game’s tendency to throw secret doors, teleporters, invisible walls, invisible floors leading out over yawning chasms, and random pit traps at you, but all that’s fairly common old school dungeoneering stuff – is the way the game doesn’t display crucial NPCs to you unless you are stood on the very square they occupy, which means that effectively you have to go out and make sure to step on every single square meter of every dungeon level in order to find clues and progress. Aside from that, by and large the dungeoneering aspect of the game is quite entertaining and fun, which is good because that’s honestly all there is to it; the plot is, as I said, predictable, the NPC interactions feel artificial and perfunctory, and the usual rich symbolism and allegory that accompanies your average MegaTen game seems kind of shallow and this time around. As far as attempts to make an old-school dungeon exploration game on the DS go, it’s a good effort, but I found myself giving up close to the end. To be fair, I’d enjoyed the game enough to sink 60 hours into it. But I hit a point where I really couldn’t face investing a fraction of that time to get to the final boss and beat ’em. Towards the end of the game, the dungeon design goes from “nicely intricate” to “ridiculously sprawling” to “tediously, boringly convoluted”, and towards the end plot events are sufficiently widely spaced out so as to rob the story of any momentum it had gained up to that point. Furthermore, a series of really lame cheap-shot boss fights (featuring bosses possessed of multiple different instakill powers) put me off the otherwise fun combats for good. And on top of all that, after you’ve played any particular videogame for 60 hours it had better be truly exceptional to hold your interest for another five minutes, and Strange Journey just isn’t on the top tier of dungeon crawlers. 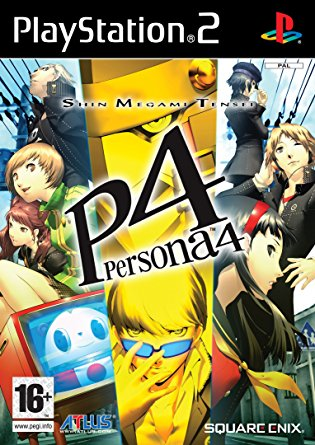 It’s worth a look if, like me, you’re a major MegaTen fan and you like having a dungeon crawl game you can pick up and put down as and when you feel like it, but don’t expect anything of the calibre of recent Persona games. So, after kicking off the Persona series with the first game and thoroughly reinventing it with the third game and its mix of classic dungeon-crawling action and slice-of-life social simulation, the Shin Megami Tensei team were riding high. For their Playstation 2 swansong, Persona 4, they opted for a refinement of the formula which worked so well for Persona 3. This time, our nameless protagonist (Jerry Cornelius, in my playthrough) has parents who are not dead, but are going abroad for work for a year. So, they ship their mysterious, silent, grey-haired son off to the sleepy rural town of Inaba to spend the year in the care of his uncle Dojima, a detective in the local police force who has been bringing up his six-year-old daughter Nanako by himself ever since her mother died in a hit-and-run accident. 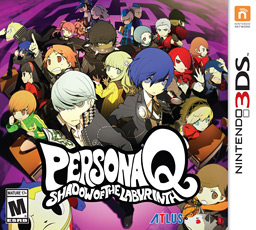 Even before the protagonist arrives in Inaba, however, there’s signs something is up; on the train down, he dreams of the Velvet Room, where Igor is once again waiting with a contract binding him to take on the consequences of his decisions for the coming year, along with his new assistant Margaret, sister of Elizabeth from Persona 3 who’s mysteriously vanished. (This time around, incidentally, the Velvet Room is a plush limousine travelling through fog-enshrouded darkness, which is much less obviously Lynchian than most of its previous appearances in the ga- oh wait.) Once he arrives, things only get stranger. Rumours proliferate of the Midnight Channel, a mysterious TV station which only appears when it’s raining and which is supposed to show the face of your true love. A television presenter who had been caught having an affair with a politician and had come to the town’s historic inn to get away from it all is found dead, dangling from, of all places, a TV aerial; some time later, Saki, a girl from the school the protagonist is attending in Inaba and who was featured on television after she discovered the presenter’s body, is found dead under similar circumstances. Although I’ve played the first and third Persona games, until now I hadn’t played any games in their parent series, Shin Megami Tensei. That changed with Shin Megami Tensei III: Lucifer’s Call – called Nocturne outside of Europe, and the first Shin Megami Tensei game in either the main series or the various subseries to get a European release. Describing something as being like another thing “on acid” is a lazy habit, but Lucifer’s Call really is like Persona 3 on acid, even though it came before the other game. 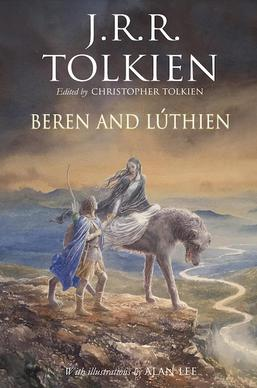 It lacks the daytime school narrative of the latter-day Persona games and therefore loses its moorings in everyday reality; the protagonist is transformed into something entirely unlike the teenage schoolboy he was and travels across a mutated, hallucinatory Tokyo on a quest not to discover the meaning of life, but to impose a meaning on life. 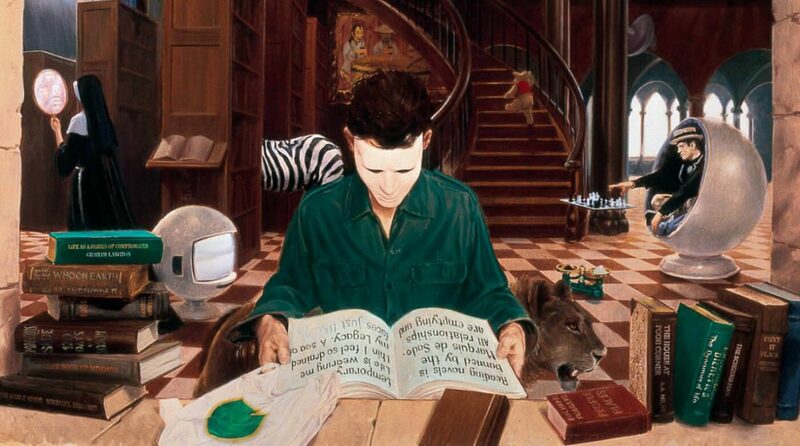 Our protagonist on this occasion – who never speaks, as is traditional in Shin Megami Tensei games – is a high school student with a passing interest in videogames and the occult. At the start of the game accompanies his classmates Chiaki Hayasaka and Isamu Nitta in order to visit their teacher, Yuko Takao, who’s asked them to come and see her in the local hospital. On the way to the hospital the protagonist encounters Jyoji Hijiri, a journalist working for an occult magazine who’s covering the riotous local activities of the Gaea organisation, a doomsday cult that apparently has connections to the hospital. At the hospital, the protagonist and his friends find that Yuko is missing and split up to find her. Our hero finds her, but she’s not sick – not physically, at least. She’s in the company of Hikawa, the menacing leader of the Gaea cult, who almost unleashes his occult powers against the protagonist but for her intervention. Then she takes the protagonist to the roof of the hospital to look at the beautiful view of Tokyo it offers – and she calmly and patiently explains that she and Hikawa believe that the world has become corrupt and drained of all vitality, and must be destroyed and made anew in order to reinvigorate it. So they’ve done the logical thing and engineered the Conception – the end of the world.